This chart is for a student who loves basketball. I use this with my special education students. Students first choose what they would like to work for. They are able to earn a basketball for specific behaviors and when they get 5 basketballs they earn the reward. I always laminate the boards, tokens and rewards. 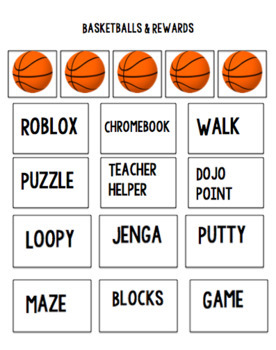 I use velcro strips/dots to attach the basketballs and rewards. 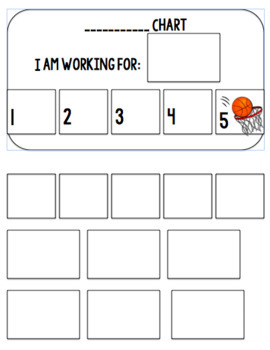 The rewards are specific to my classroom and can be edited to suit your needs. This product is a .docx and can be edited.